Tijms, H.C. (1977). 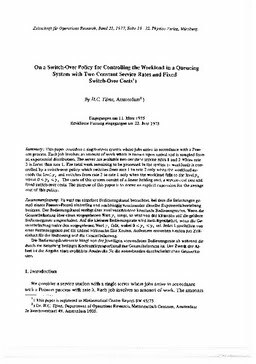 On a switch-over policy for controlling the workload in a queueing system with two constant service rates and fixed switch-over costs. Zeitschrift für Operations Research, 21, 19–32.